This robust and spiritual California red offers divine flavors of wild red berries, ripe pomegranate, and a hint of cola. 2015 OM Pinot Noir is from Napa’s neighbor Clarksburg, California, and is a revelation when paired with transcendently spicy dishes. 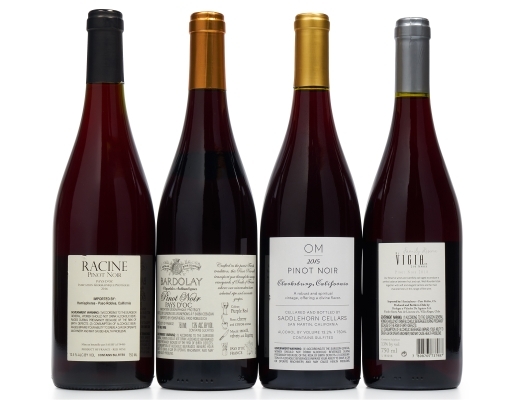 Fifth-generation French winemaker Frederic Garrabou conceived the Bardolay line of wine to evoke the time when Romans exported expertly made wines from the local ports in the South of France. 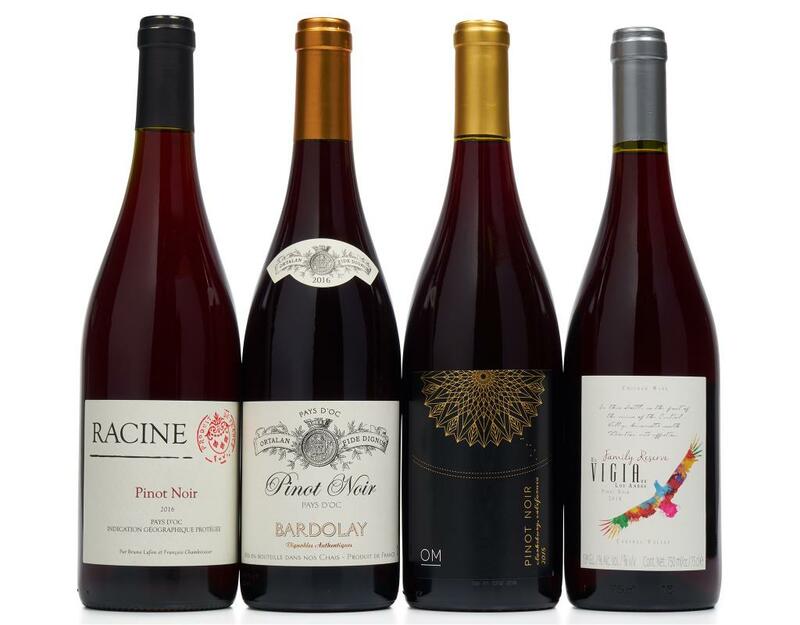 2016 Bardolay Pinot Noir Pays d’OC displays all the elegance and expertise of French winemaking, transmitted through the generations and still used today. Made from 100% Pinot Noir, it is a glossy garnet red in the glass with lovely aromas of raspberry and cherry, notes of thyme, and subtle smoky and peppery hints. The palate is fruity, well-balanced, and silky, with a long finish. Enjoy this wine with roasted vegetables, duck breast, pasta, or cheese.